You can get involved in a whole range of research activities. These include helping to develop research questions, applying for funding and ethical approval, sitting on advisory groups, carrying out the research and disseminating the research findings. This section looks at the different ways you can get involved in the different stages of research. If you want to get involved you should think about why you want to get involved and what sort of thing you would like to do. You should also think about how much time you have and any experience and skills you might have. You might just want to attend a meeting, for example for project advisory groups, public events, reference groups or workshops. Or you might want to be involved in reviewing papers. Patient data is also a feature of the research cycle, used by researchers to underpin their research and lead to improvements in health and care. You can find out more about ways that you can get involved and what sort of things you might be doing by following the links on this page underneath the diagram below. Getting involved in helping to identify and prioritise research is a powerful way to be involved as it gives you the chance to influence what will be researched. It gives researchers the chance to check that their research priorities are the same as those of the people who have the condition that is being researched or who use the relevant services. By working with researchers and patient groups you can help identify a number of research questions. This will give everyone a chance to learn from each other, agree on the research questions together, and the final topic should be a shared decision between the group. using an independent facilitator (this reduces the risk of researchers influencing the agenda too much). Sometimes it is difficult for people who are unfamiliar with research to identify research questions. so you might want to talk about some of the issues before the first meeting, before discussing how these might be turned into research questions. Many funding organisations now involve members of the public in commissioning research. This gives a broader perspective to the review process, by considering the issues that are important from your perspective. being part of a user controlled organisation which commissions research. Getting involved in the design of research helps to ensure that the research is relevant to the needs of people like you and also that the research question and outcomes are clear. help to develop written information in user friendly and plain language. However, developing research grant applications can be a complex and lengthy process. You should consider how much of your time will be needed and that at the end of it all the research may still not get funded. One of the main ways that you can get involved in managing research is through membership of a study steering group or management committee. Increasingly members of the public are taking a more active role in research as co-collaborators or in some cases as the principal investigators in studies. In these circumstances you will often be employed as a member of the research team. there is involvement in the selection process of staff and researchers for the study. analysing and interpreting the results of research. You can help by looking at different types of evidence and in interpreting the literature from a public perspective. You can get involved as peer interviewers (people who have direct experience of the topic being researched and who carry out interviews with other members of the public) or in helping to run focus groups. There should be training and support available for this role. If you are involved in research you will want to ensure that the findings of the research are sent out as widely as possible so they can influence and change practice for the better. 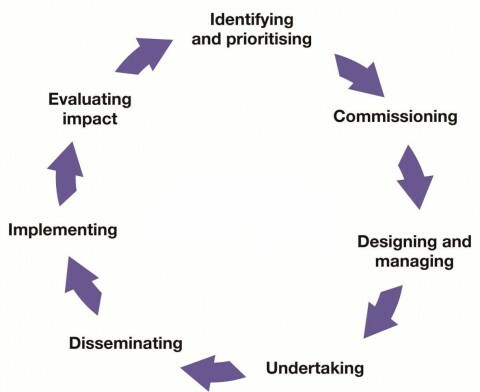 It has been found that involving people just at the dissemination stage is less successful if they have not been involved at earlier stages of the research as they do not have either the ownership or knowledge of the context of the research. However if you have been involved at other stages in the research you will be more likely to disseminate the results to your own networks and will be able to help summarise the research findings in clear user-friendly language and ensure that the information is accessible to a public audience. Without doubt the participation of young people in presentations of the results to professionals brought home some of the findings and recommendations more powerfully than if they had been presented by the researcher alone. Public involvement in research can influence, support and add strength to the way research is taken into practice. You can help to ensure that research will effect change and improvement in issues which concern people most and so can lead to new improved services and changes in practice. Members of the public involved in research are often passionate to ensure that action happens as a result of the research and are able to establish relationships with key agencies and policy makers. From the beginning of a research project researchers should think about how they are going to monitor and evaluate your involvement and the impact of public involvement throughout the project. This will help for future projects and provide valuable knowledge for other researchers looking to involve members of the public in their work. adding details to the research project database on the INVOLVE website.